Remembrance Sunday reservations – For the fainthearted . . .
Overnight rain had soaked the grass, made slippy the autumn leaves. A bitter November wind cut in from the east, taking any warmth there may have been in the bright sunlight. The parade slowly formed around the war memorial; grizzled veterans of late-20th Century conflicts stood alongside cubs and brownies, colours being given their annual airing. and all who have lived and died in the service of mankind. 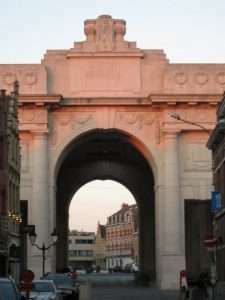 The familiar words of Binyon’s Ode to the Fallen were immediately spoken by an old soldier, whose medals glinted in the sunshine, almost as though this were the real commencement of the act of remembrance; Last Post followed and then the silence, ending with Reveille and the Kohima Epitaph. Standing at the edge of the crowd, there was a moment to ponder what the church believed itself to be doing at such ceremonies. What did the words of the bidding mean? “Let us remember before God and commend to his sure keeping.” Does anyone seriously believe this should be the case? Does anyone think that, say, the Waffen SS or the Gestapo are worthy of remembrance? What sort of God of God takes into his “sure” keeping those guilty of crimes against humanity? And it wasn’t just the Nazis who were guilty of human rights violations. Does the church think that all who have died in war are somehow automatically saints? If it doesn’t, why persist with such a prayer? “Those whom we knew, and whose memory we treasure.” Very few people who died in the World Wars would be known to the overwhelming majority of those present at the ceremonies and the names of those who have died in more recent conflicts seem strangely absent from the memorials, as if governments are embarrassed at the pointless loss of lives in Iraq and Afghanistan. “And all who have lived and died in the service of mankind.” Words that seem amenable to whatever meaning one might choose; a catch-all phrase, lest anyone feel anybody has been left out. Words that are so vague as to be meaningless. 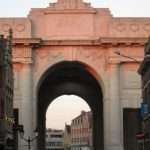 At the Menin Gate, there is no religious content and, so, no need to engage in fruitless theological disputes. Every night of the year at 8 pm, there is the sounding of Last Post, the two minutes of silence, and Reveille. Nothing more is necessary. they could have done without the 20:00 daily ceremony even. 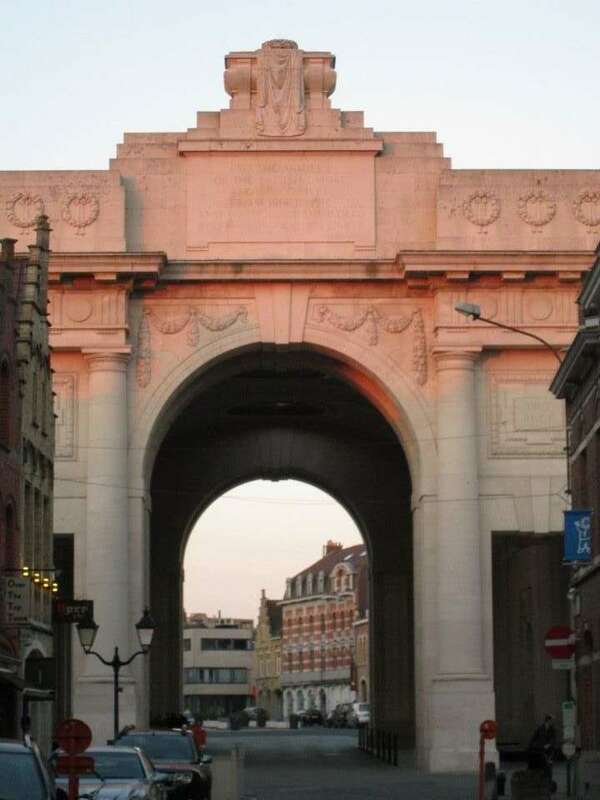 In my opinion the Ypres ceremony is the ‘only’ one that has it correct. And when they include anything other than the buglers of the town they change the emphases fundamentally. For me, it is the fact that it is the local fire brigade expressing the feeling of the local people that makes the Last Post ceremony different. Yes, exactly. And because of that, inclusive.